For Fire and Service Station Exhaust Systems, KEA is proud to partner with Nederman, a trusted manufacturer of a wide range of products, solutions and services for industrial air filtration. Together with KEA, we help you achieve profitable and sustainable production. We are the only Nederman Authorized Distributor and Service Center in the North Texas region. 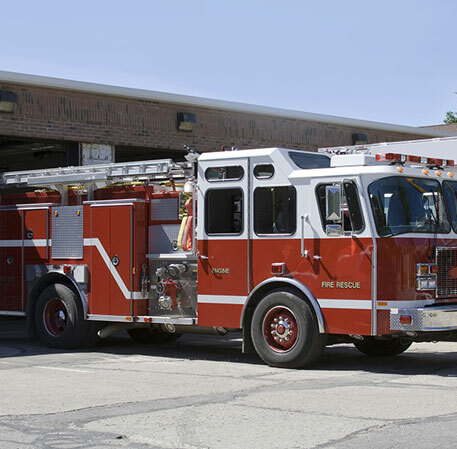 Fire trucks, ambulances and other emergency vehicles must always be ready to leave the emergency station instantly. Therefore our vehicle exhaust removal systems with quick release are the optimum choice for your emergency station. 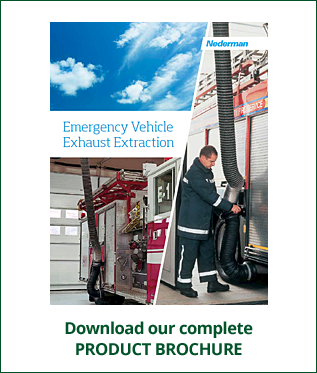 The exhaust extraction systems enable quick exit from the emergency station and contribute to safe and effective extraction of exhaust fumes and gases. No one better than KEA can create the most optimal solution for sound, safe and ergonomic Fire and Emergency Stations. From a single source of supply you get the most comprehensive solutions fulfilling the latest standards and leading technologies. We help you all the way – from planning, design and commissioning to maintenance and service support. More than 60 years of experience and well over 100,000 installations in emergency stations make us second to none. Oil spillage and untidy hoses – these are just some of the other hazards at fire and emergency stations. A prosperous workplace with a high-quality image is a question of a safe, tidy and well-organized station. We offer cost-effective products and complete system solutions for vehicle exhaust extraction and on-tool dust extraction. We help you all the way from designing and planning to installation, service and maintenance. We can offer you an exhaust extraction system which fulfills the specific needs of your premises and suits your economy.